To discover Pascagoula offshore helicopter operations worth the investment. Welcome to one of the nation’s unspoken destinations for effective offshore operations. Pascagoula, Mississippi exists as far more than an ideal location for offshore oil support: it’s also an optimal flying location, characterized by lengthy periods of weather conducive for sustained, secure flight. Even while you’re hard at work, you’ll fly above local attractions that include Pascagoula Beach Park, Round Island Lighthouse and the Old Spanish Fort Museum. Like all of Jackson County, Pascagoula is typified by its friendly beach climate, sporting mild temperatures and moderate offshore winds. Offshore helicopter support would be hard-pressed to find a better home than Pascagoula, Mississippi. 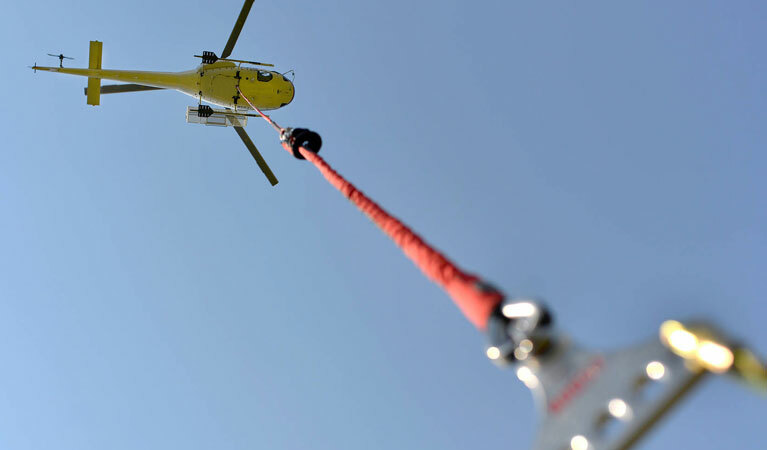 Readily affordable and available at a moment’s notice, offshore helicopter services provided exclusively by FairLifts affiliate providers are the easy solution to dynamic oil complexities. There’s never been a better time to take advantage of effective helicopter support packages that can accommodate both your individual preferences, and your business budget. Provide support to the hardworking crews facilitating all of your offshore operations, with a helicopter from a FairLifts affiliated provider. Supporting the crews on the ground, a helicopter can make some of the most challenging offshore undertaking look routine, with its unique combination of aerial speed, size and payload capacity. When time is of the essence, facilitate Medevac and general emergency operations with the efficiency that a helicopter alone can provide. Deliver individuals to the shore at a rapid pace, and put full-scale aerial maneuverability to work during SAR operations. Medevac and SAR operations by helicopter place you in control. Provide tours of your offshore operations by helicopter, to provide individuals aboard with a holistic scope of your facilities. Whether you’re showing new hires the lay of the property, or displaying recent developments to investors, you’re afforded a viewpoint that only a helicopter provides. Perform base inspections with similar ease. Whether it’s oil and gas transport or a complete pipeline survey, any FairLifts affiliated helicopter provider is also readily familiar with on-shore services. Put the same offshore prowess to work no matter the location, for smooth transportation and survey operations. Make these valuable offshore helicopter operations your own, to provide industry-leading services to your deserving ventures. Reach a customer service agent today, for an answer to all of your questions and outstanding inquiries. You can also fill out a customer contact form, and expect a 24-hour response.